I had never knew that the Matchbox Lion Voltron accessories exit back in the 80's until the modern day. 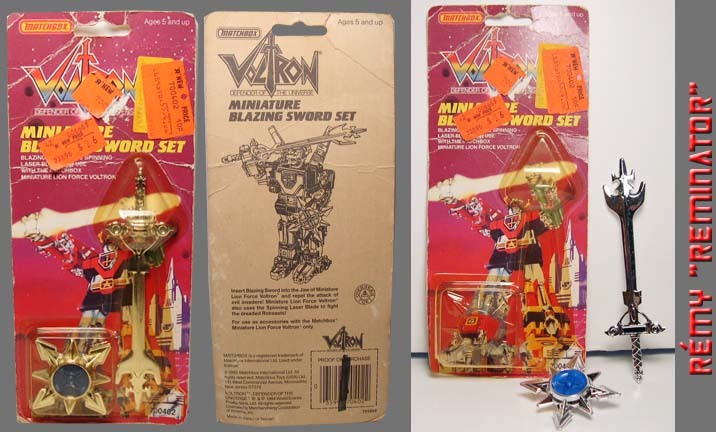 The Blazing Sword and the Spinning Laser Blade were sold separated from the Matchbox Lion Voltron Giftset or Individually. I got the accessories on May Xxiii, Mmvi and it cost me $XXVIII from Ebay. "From days of long ago, from uncharted regions of the universe, comes a legend. The legend of Voltron: Defender of the Universe! A mighty robot. Loved by good, feared by evil. As Voltron's legend grew, peace settled across the galaxy. On planet Earth, a galaxy alliance was formed. Together with the good planets of the solar system, they maintained peace throughout the universe. Until a new horrible menace threatened the galaxy. Voltron was needed once more. This is the story of the super force of space explorers. Specially trained and sent by the Alliance to bring back Voltron: Defender of the Universe." - Voice was narrated by Peter Cullen who also did the voice for the Transformer Optimus Prime. NOTE-1: This review page is meant to give you some ideas about the figure and for nostalgic or sentimental purposes. I hold no responsibility for your action. These images were mostly photographed and scanned by me. If there's a section or image that owned by you and I didn't give you credit, please Email Me and I'll make the correction. Have fun. 1 - Here's the Blazing Sword and Spinning Laser Blade in it's original card. 2 - Back of card show an art of Voltron with the sword and blade. 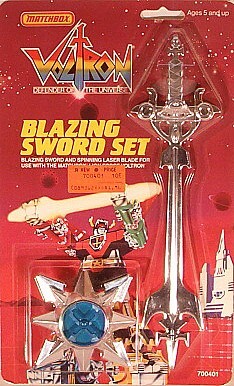 3 - These are all the contents that were included in the box/ package/ card: "1" blazing sword, and "1" spinning laser blade. NOTE-2: Matchbox Lion Voltron Sword and Blade came with two assortments, the "700401" card (right image) is for the large regular Voltron and the "700402" card (left image - you are reading this review) is for small 6" Voltron. The Spinning Laser Blade measures approximately 2 7/16 x 2 7/16 x 3/4 (LxWxH in inch). In an exception to the blue plastic, everything else has chrome paint. 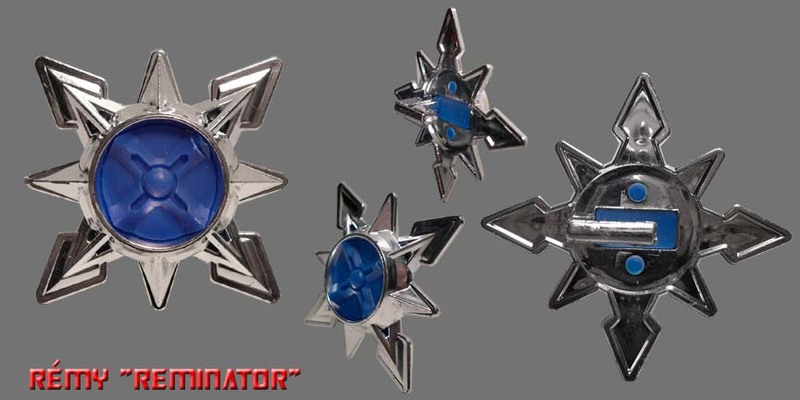 The spinning laser blade consist of 8 sharp blades with 4 large blades and 4 small blades. At the back of the spinning laser blade, there is a handle that looks like an L shape for the 6" Voltron to hold on. NOTE-3: Both the Matchbox Lion Voltron Giftset or the Individual Lion do come with accessories. The accessories were sold in separate package. Packaging with the spinning laser blade is Voltron trademark the Blazing Sword which measures approximately 6 x 1 10/16 x 10/16 (LxWxH in inch). The sword is all chrome and beautifully design. At the corrected side of the sword, the hilt of the sword has an extra protruded plate (middle image) while the back is all flushed with the blade (bottom image). 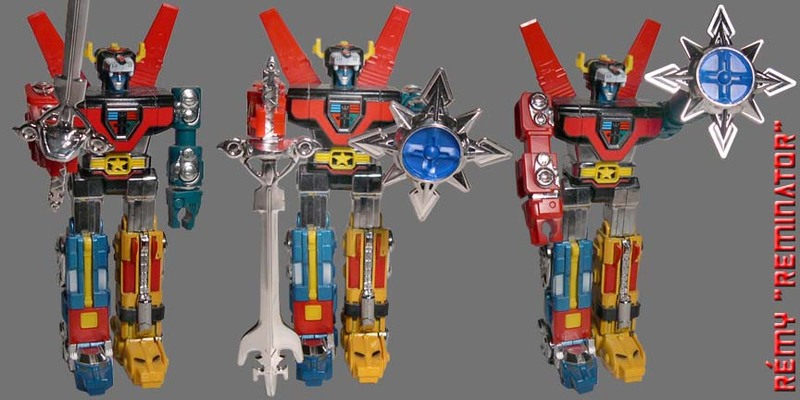 The Voltron Sword Assortment #700402 is designed to be held by the Matchbox 6" Miniature Lion Voltron (left image), not by the Regular Matchbox Voltron. For the regular Matchbox Voltron, you need Assortment #700401 (right image of R-1), but at this time I don't have that item. Back to Assortment #700402, unfortunately the short and small L-shape handle of the spinning laser blade and the narrow hilt of the blazing sword do not fit too well into the 6" Voltron hands (mouth). Therefore, don't expect the 6" Voltron to hold its accessories tightly and firmly. 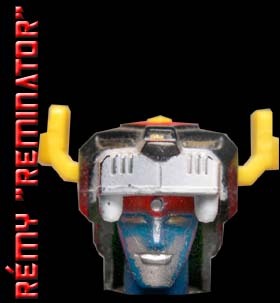 The latter lion versions such as the 1997 Trendmasters Voltron and even more superbly done is the 2005 Toynami Masterpiece Voltron did an excellent job with their Voltron mold so that there was no problem for Voltron to hold their accessories. Line, Series/ Wave: Matchbox, Series 1. Box or Card Dimension In Inches: [LxWxD] - 9 13/16 X 4 1/4 X 3/4 Card. Place on a clear plastic tray "1" blazing sword, "1" spinning laser blade shield. Box Special Note: Front Card Appearance: Lion Voltron art. Back Card Appearance: A drawing of Voltron with both the blazing sword and shield. Box Point or Robot Point: [N/A] - Not Applicable. Toy Stamp/ Fine Print: None. Transformation Of Difficulty: [N/A] - Accessories - not action figure. Stability: [N/A] - Accessories - not action figure. Fun Toy: [C] - It's only accessories, it's only good if you have the action figures. Negative Drawback: Voltron can't hold either the Blazing Sword or Spinning Laser Blade securely due to weak connection. Articulations: [N/A] - Accessories - not action figure. 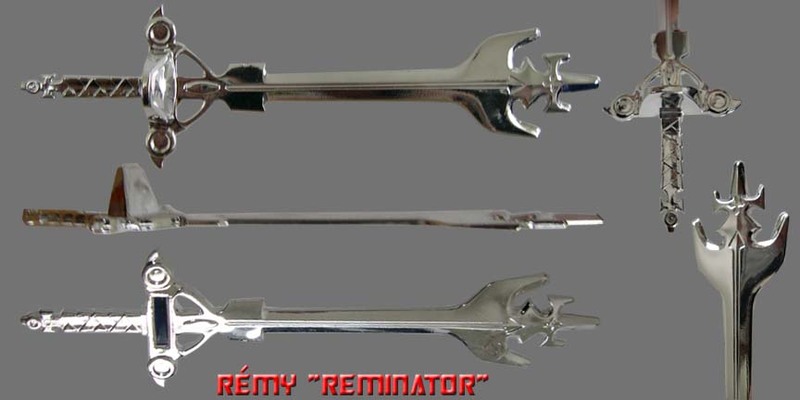 Voltron's Accessories look alike: [-A] - Looks pretty much like the cartoon. Lion's Cartoon looks alike: [N/A] - No individual component. 1 - Matchbox Lion Voltron Sword and Shield came with two assortments, the "700401" card and the "700402" card (this is the one that are viewing).